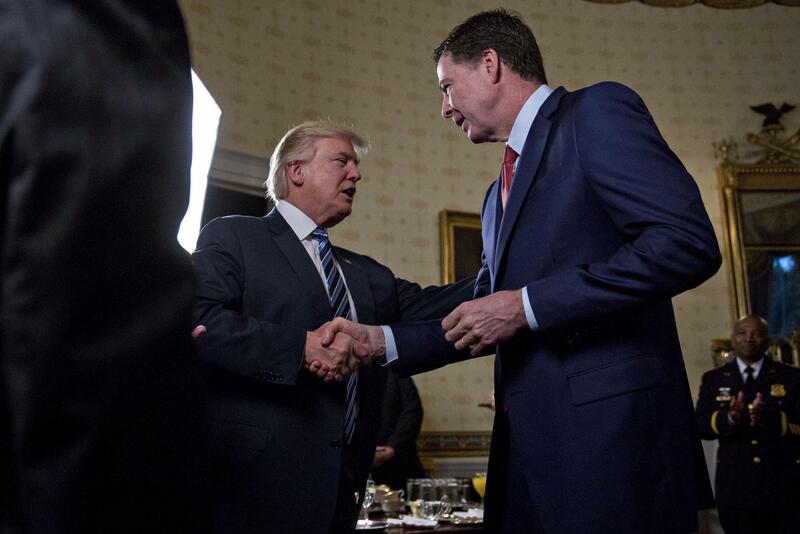 President Trump had a minimum of eleven good reasons to fire James Comey. Yes, it could have been in private and not on national TV, however it was long overdue. 1. During its investigation into Hillary Clinton's mishandling of classified material, the FBI made an unusual deal in which Clinton aides were both given immunity and allowed to destroy their laptops. 2. During the questioning of Hillary Clinton on her e-mails no recording of the interview was done or a written text of questions and answers. 3. When the FBI demanded Apple create a "backdoor" that would allow law enforcement agencies to unlock the cell phones of various suspects, the company refused, sparking a battle between the feds and America's biggest tech company. What makes this incident indicative of Comey's questionable management of the agency is that a) The FBI jumped the gun, as they were indeed ultimately able to crack the San Bernardino terrorist's phone, and b) Almost every other major national security figure sided with Apple (from former CIA Director General Petraeus to former CIA Director James Woolsey to former director of the NSA, General Michael Hayden), warning that such a "crack" would inevitably wind up in the wrong hands. 4. Before he bombed the Boston Marathon, the FBI interviewed Tamerlan Tsarnaev but let him go. Russia sent the Obama Administration a second warning, but the FBI opted against investigating him again. 5. The FBI also investigated the terrorist who killed 49 people and wounded 53 more at the Pulse Nightclub in Orlando, Fla. Despite a more than 10-month investigation of Omar Mateen -- during which Mateen admitting lying to agents -- the FBI opted against pressing further and closed its case. 6. The FBI had possession of emails sent by Nidal Hasan saying he wanted to kill his fellow soldiers to protect the Taliban -- but didn't intervene, leading many critics to argue the tragedy that resulted in the death of 31 Americans at Fort Hood could have been prevented. 7. The father of the radical Islamist who detonated a backpack bomb in New York City in 2016 alerted the FBI to his son's radicalization. The FBI, however, cleared Ahmad Khan Rahami after a brief interview. 8. The FBI also investigated the terrorist who killed 49 people and wounded 53 more at the Pulse Nightclub in Orlando, Fla. Despite a more than 10-month investigation of Omar Mateen -- during which Mateen admitting lying to agents -- the FBI opted against pressing further and closed its case. 9. In 2015, the FBI conducted a controversial raid on a Texas political meeting, finger printing, photographing, and seizing phones from attendees (some in the group believe in restoring Texas as an independent constitutional republic). 11. Shortly after the NSA scandal exploded in 2013, the FBI was exposed conducting its own data mining on innocent Americans; the agency, Bloomberg reported, retains that material for decades (even if no wrongdoing is found).